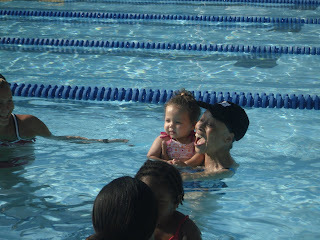 Today was Zoe's first day of swimming lessons! She learned how to blow bubbles in the water and how to splash. She really seemed to enjoy the lesson and was all tuckered out when we got home.